I just finished reading a blog post by Gail Dosik, the owner and founder of One Tough Cookie in New York City. 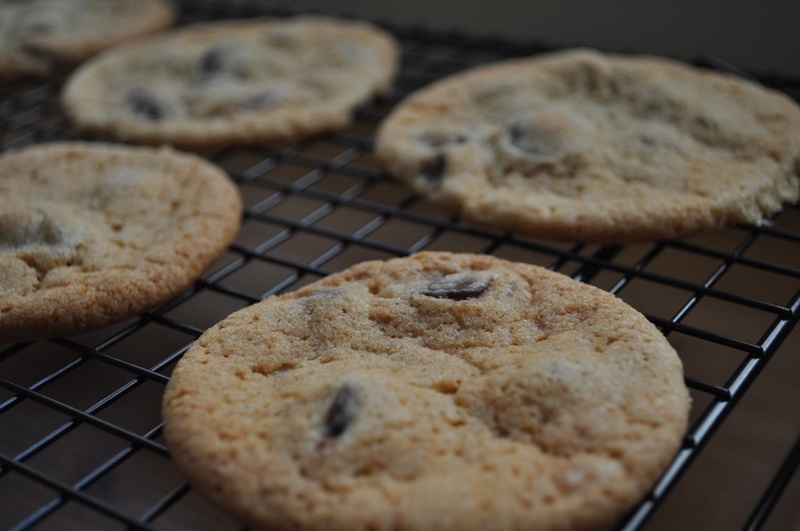 The post, written in reaction to another article by well-known pastry chef, Jenny McCoy, was about pre-made versus scratch chocolate chip cookie dough. In her article, McCoy confesses that she bought pre-made dough one evening to save the hassle of baking cookies from scratch. It was late and she still had to prepare dinner. McCoy’s conclusion was that even though the cookies “weren’t that good”, baking from scratch “sometimes…isn’t really worth the effort.” Dosik, on the other hand, highly disagreed with McCoy’s analysis and proceeded to elaborate on why she considers herself a baking “purist”. Dosik’s response brought some (re)affirmation to why I do what I do. I began Savor Baking Company, firstly, because I love to bake. Secondly, I have always dreamed of being an entrepreneur and realized that I could start a business doing something that I love. That being said, I wanted to showcase the pure and natural flavors in my baked goods by focusing on the most basic ingredients: butter, eggs, flour, and sugar. Most of my recipes include some varying ratio of these four ingredients, while spices, chocolate, fruits, and nuts provide the different flavors that make up the variety of products on the menu. Chocolate chip cookies are no exception to the basic four. And, as I have learned in recent months, many people are very particular about that cookie. Why? Because the classic combination of a butter cookie and chocolate is undeniable and a mainstay in American culture. Children and adults both love them. They are easy and inexpensive to bake. And, they can serve as an indulgent snack or finale to a delicious dinner. But what, I think, most chocolate chip (and dessert) aficionados appreciate about well-made pastry products is the presence of the basic four. Artificial and low-fat ingredients tend to dilute and even diminish the overall quality of baked goods. The taste of products made with these ingredients are typically inferior to their counterparts made with natural and full-fat ingredients. Moreover, artificial and low-fat ingredients are highly detectable by even the most untrained* palates. In my experience, it is always the homemade cakes, pies, and cookies that are preferred over those made from a box mix. For years I cringed at people who asked me what box mix I used whenever I brought a cake or cookies to a party. Of course, not everyone knew of my love for scratch baked goods; so they got a pass. Even still, when I said that I made the goodies from scratch they were always impressed and eager to try some. Thus, my belief and commitment to providing the best scratch products was cemented long ago. I fervently believe that scratch is ALWAYS worth the effort. Savor is my representation to the world of this ideology. I hope you agree. * Don’t think so? Here is a quick test that takes less than 5 minutes to do. Make some lemonade using water and the juice of one lemon split between two glasses. (If you want to do a blind taste test, have a significant other or friend prepare the glasses for you.) In one glass, sweeten the lemonade with granulated table sugar. In the second glass, use an artificial sweetener. Which do you prefer? My guess is that 99.9% of you reading this would choose the lemonade with sugar. The same experiment applies to baked goods. Disclaimer: I do not claim to be an authority on health. While I truly believe that scratch is best, I believe also that desserts (and all foods) should be eaten in moderation. This entry was posted in Musings and tagged baking, cake, cookies, musings, Savor, scratch, small business. Bookmark the permalink. I like the way you think. Yes, I do. I love your website! I’m feeling hungry already. :) I’ll call soon to place and order.